It was a busy morning, approximately 8:30 a.m., when an elderly gentleman in his 80's arrived to have stitches removed from his thumb. He stated that he was in a hurry as he had an appointment at 9:00 am. I took his vital signs and had him take a seat, knowing it would be over an hour before someone would to able to see him. I saw him look at his watch and decided, since I was not busy with another patient, I would evaluate his wound. On exam, it was well healed, so I talked to one of the doctors, got the needed supplies to remove his sutures and redress his wound. While taking care of his wound, we began to engage in conversation. I asked him if he had another doctor's appointment this morning, as he was in such a hurry. The gentleman told me no, that he needed to go to the nursing home to eat breakfast with his wife. I then inquired as to her health. 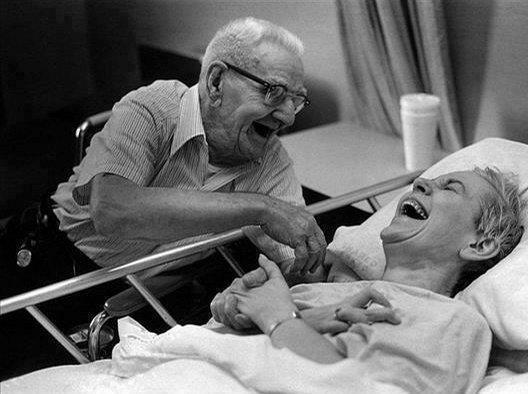 He told me that she had been there for a while and that she was a victim of Alzheimer' s Disease. As we talked, I asked if she would be upset if he was a bit late. He replied that she no longer knew who he was, that she had not recognized him in five years now. I was surprised, and asked him, "And you still go every morning, even though she doesn't know who you are?" What Do Moms Do All Day ? Are you enjoying your coffee ? why do women cry so easily?